“ Yawning you awake, stumble from your bed to the window of your tiny metallic apartment, and gaze into the wasteland beyond. The eternal clanking and whirring of heavy equipment shares the air with wisps of dust dancing as far as the horizon, where an ominous, alien outcropping punctuates the view. Garish, abstruse, uncompromising… And utterly magical to the few souls that brave its hardships. The paragraphs above are what started it all, a blurb thrown together with a few lines of code upon discovering the simple fact that bauxite is the primary ore of aluminum. Alongside that centerpiece grew the other base materials of coal, sand, pig iron, and uranium ore, each with their own refined counterpart. A decidedly steampunk atmosphere surrounds this post-apocalyptic fairy tale, born of a young programmer’s idle years while learning the ropes of at-scale server engineering. 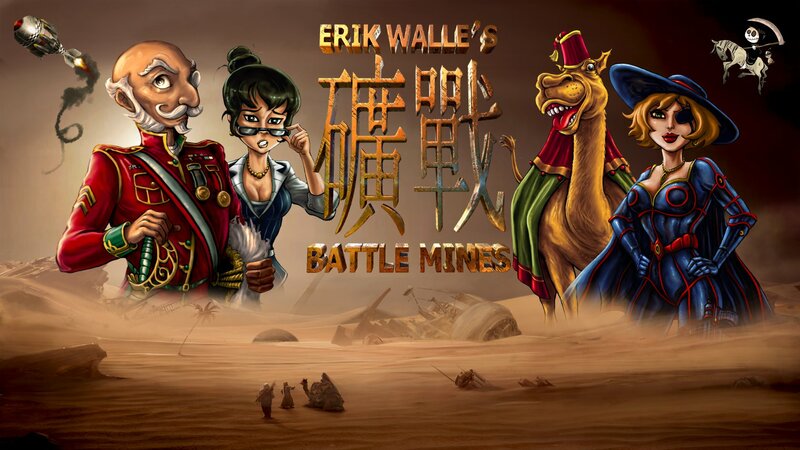 Battle Mines is the hard-won encapsulation of your humble author’s core tenets, and represents the fruition of a desire to combine fantasy, strategy, an arbitrarily large player base, and nearly unlimited scope of gaming interaction given the elements at hand. An impossible behemoth of a game, twice realized and twice overlooked by the world at large, Battle Mines stands resolute as a monument to the needless ubiquity of the conventional gaming experience. Dare you face its grim, whimsical majesty? AND NOW, riding high once again, it’s OG BATTLE MINES! Back from the dead, and ready to splatter some fallout on your windshield!